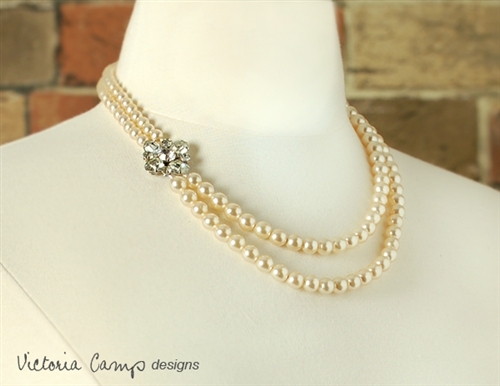 This elegant necklace is composed of multiple strands of vintage faux (glass and plastic) dark ivory colored pearls. 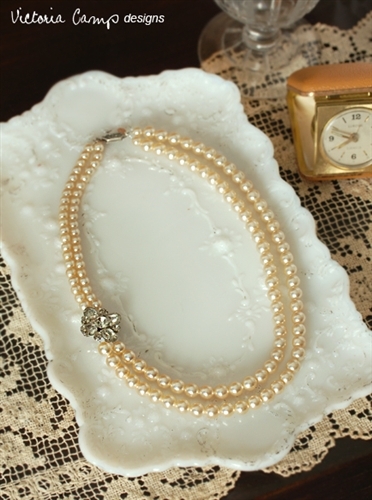 Please note that some of the pearls show subtle signs of wear due to aging, but it does not affect the wearability or functionality of the design. 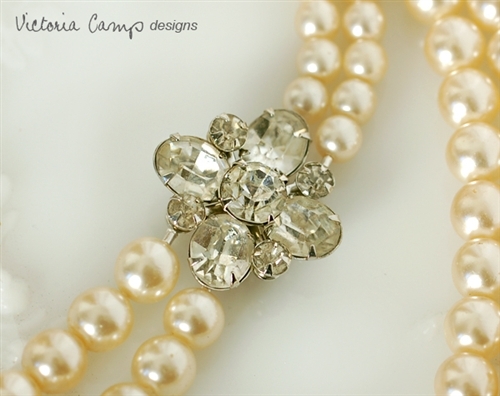 The necklace is accented on one side by a beautiful vintage art deco style rhinestone focal (upcycled from a vintage brooch,) which measures 1-inch/2.5cm wide. 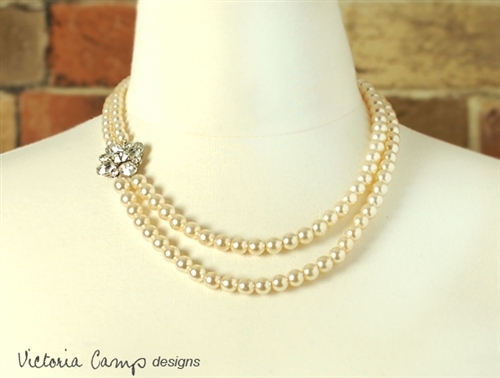 The length of this necklace measures a little over 18-inches/46cm long (based on the shorter/upper strand,) and finishes with a silver toned box clasp closure.